Senate President Bukola Saraki yesterday held a 90-minute meeting with President Olusegun Obasanjo, PhD, in Abeokuta, the Ogun State capital. 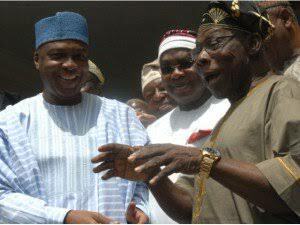 Saraki arrived the Olusegun Obasanjo Presidential Library (OOPL) at about 5.27 p.m and left at about 7.12pm. Sources say it was a serious political meeting. 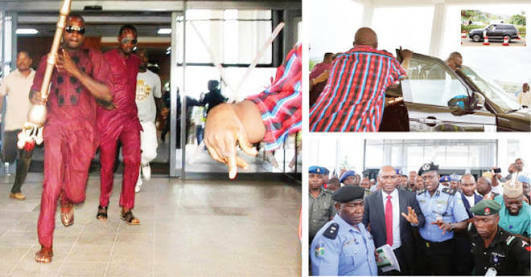 He declined to respond to political questions posed by reporters, saying the Obasanjo Library was a beautiful edifice that should make all Nigerians proud. “You know I missed the official opening of the library and that is why I have decided to come and see the place and honestly it is beautiful. We are very proud of what he has done here,” he said. Last week Saraki also visited former military President Ibrahim Babangida at his Hilltop Mansion, in Minna. Nollywood thespians celebrate late Moji Olaiya who would have been 43 today!